For the Italian luthier, see Carlo Bergonzi (luthier). Bergonzi was born in Polesine Parmense,  near Parma in Northern Italy, on 13 July 1924. He was an only child. He later claimed he saw his first opera, Verdi’s Il trovatore , when he was six years old. He sang in church, and soon he began to appear in children's opera roles in Busseto, a nearby town. After he left school at age 11 he began working in a Parma cheese factory. His father worked there too, and Carlo often got into trouble for singing. Polesine Parmense is a town in the Italian region Emilia-Romagna, located about 120 kilometres (75 mi) northwest of Bologna and about 30 kilometres (19 mi) northwest of Parma. It was an independent comune until 1 January 2016, when it merged with Zibello to form the new comune of Polesine Zibello. 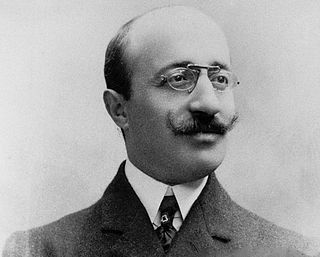 Ettore Campogalliani was an Italian composer, musician and teacher. Stefan Zucker is an American singer, expert on Italian opera and self-described "opera fanatic." He was listed in the 1980 Guinness Book of Records as the "world's highest tenor" for having hit and sustained an A above high C for 3.8 seconds at The Town Hall in New York City on September 12, 1972. Other baritone roles which he undertook included those of Metifio in L'arlesiana , Doctor Malatesta in Don Pasquale , Belcore in L'elisir d'amore , Enrico Ashton in Lucia di Lammermoor , Ghirlino in Le astuzie di Bertoldo, Silvio in Pagliacci , David in L'amico Fritz , Alfio in Cavalleria rusticana , Albert in Werther , Marcello in La bohème , Sonora in La fanciulla del West , Sharpless in Madama Butterfly , Lescaut in Manon Lescaut , Laerte in Mignon , the title role in Rigoletto , and Georgio Germont in La traviata . L'arlesiana is an opera in three acts by Francesco Cilea to an Italian libretto by Leopoldo Marenco. It was originally written in four acts, and was first performed on 27 November 1897 at the Teatro Lirico in Milan. It was revised as a three-act opera in 1898, and a prelude was added in 1937. He sang the role of Radames again for his debut with the Philadelphia Lyric Opera Company in 1961 and in 1962 he reprised the role of Alvaro for his debut with the Royal Opera, Covent Garden. He made his debut with the San Francisco Opera in 1969 as Don Alvaro in La forza del destino. Bergonzi pursued a busy international career in the opera house and recording studio during the 1960s. His chief Italian tenor rivals in this period were Franco Corelli and Mario Del Monaco. Bergonzi outlasted all three, continuing to sing through the 1970s at major opera houses. But in the 1980s, as his own vocal quality deteriorated inevitably with age, he concentrated on recital work. In 1996, Bergonzi participated in conductor James Levine's 25th anniversary gala at the Metropolitan Opera. He gave his American farewell concert at Carnegie Hall on 17 April that same year. After retiring, Bergonzi is credited with mentoring tenors Roberto Aronica, Giuliano Ciannella, Berle Sanford Rosenberg, Vincenzo La Scola, Filippo Lo Giudice, Philip Webb, Giorgio Casciari, Paul Caragiulo, Lance Clinker, Fernando del Valle and Salvatore Licitra. 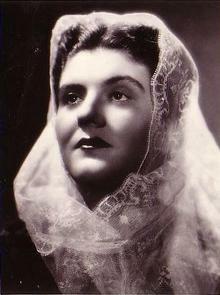 Soprano Frances Ginsberg was also one of his pupils. Aida . Parma, Teatro Regio, date unk. La forza del destino . Parma, Teatro Regio, date unk. Mario Del Monaco was an Italian operatic tenor who earned worldwide acclaim for his powerful voice. Gino Vanelli was an Italian operatic baritone who had an active international career from 1917 until his retirement in 1955. He made several recordings for HMV and Columbia Records, including complete recordings of the operas La boheme, Pagliacci, and Madama Butterfly. Salvatore Licitra was an Italian operatic tenor. Ferruccio Tagliavini was an Italian operatic tenor mainly active in the 1940s and 1950s. Tagliavini was hailed as the heir apparent to Tito Schipa and Beniamino Gigli in the lyric-opera repertory due to the exceptional beauty of his voice, but he did not sustain his great early promise across the full span of his career. 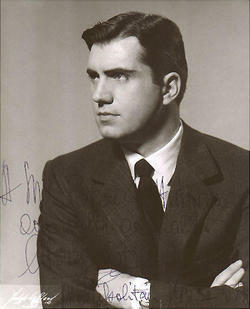 Pier Miranda Ferraro was an Italian operatic tenor who had an active international opera career from 1951 through 1981. He particularly excelled in the dramatic Italian repertoire with his signature role being the title role in Giuseppe Verdi's opera Otello. Other important roles in his performance repertoire included Radames in Verdi's Aida, Alvaro in La Forza del Destino, and des Grieux in Giacomo Puccini's Manon Lescaut. He also found success in the German repertoire portraying Wagnerian heroes. Although he was a gifted singer and had a highly impressive list of performance credits, he never achieved the international recognition enjoyed by his most important contemporaries, such as Franco Corelli or Mario Del Monaco. After retiring from the opera stage in 1981 he took up a second highly successful career as a voice teacher. Galliano Masini was a leading Italian operatic tenor, particularly associated with the spinto (lyric-dramatic) roles of the Italian repertory. Flaviano Labò, was an Italian operatic tenor, particularly associated with heroic roles of the Italian repertory. Carlos Álvarez is a Spanish baritone who has had a major international opera career since the early 1990s. His recording of the title role in Isaac Albéniz's Merlin with Plácido Domingo as King Arthur won a Latin Grammy Award in 2001, and his recording of the role of Ford in Giuseppe Verdi's Falstaff won the Grammy Award for Best Opera Recording in 2006. Giuliano Ciannella was an Italian operatic tenor who had a major international career from the mid-1970s through the late 1990s. He was notably a regular performer at the Metropolitan Opera in New York City from 1979 through 1986, the Lyric Opera of Chicago between 1982 and 1988, and at the Vienna State Opera from 1985 up until the end of his career. Ciannella mostly performed roles from the Italian repertory, particularly excelling in the operas of Giuseppe Verdi and Giacomo Puccini. ↑ "Addio a Carlo Bergonzi, tenore verdiano del secolo" (in Italian). La Stampa. 26 July 2014. Retrieved 26 July 2014. ↑ Howard Taubman, "Opera: Two 'Met' Debuts; Antonietta Stella and Bergonzi in Aida: In Stella and Bergonzi it has newcomers who will earn their keep and may bring in rich dividends. Both singers are from Italy; both are young. ", The New York Times, November 14, 1956. ↑ "Carlo Bergonzi". Find A Grave. Retrieved 30 July 2014. Marchesi, Gustavo (2003). Carlo Bergonzi, I suoi personaggi. Parma: Azzali Editori.